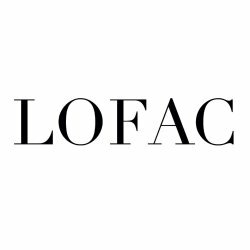 LOFAC은 스토리가 있는 한국 인기 드라마, 영화 속 로케이션 큐레이션 플랫폼입니다. #lofacpick 📸 💗한여름에 달려가야할 다양한 셀렉션의 빙수가 기다리고있는 #포시즌호텔서울 #마루 를 소개한다! 신라호텔의 빙수를 먹으러 갔다가 두시간 웨이팅이라는 청천벽력같은 소리를 듣고 바로 달려간 이곳! 우아한 동서양이 어우러진 인테리어가 마치 중국 영화속에 들어와있는 기분을 느끼게 해준다. #망고빙수 는 코코넛 아이스가 함께 어우러져 풍성한 맛을 내준다. #FourseasonshotelSeoul #Maru is waiting for you with a variety of #bingsu selection to die for in the middle of summer! This is the place where I went after trying to get in to Shilla Hotel and found out I had to wait for two hours. The elegant east-west interiors make you feel like you're in a classic Chinese movie. #mangobingsu combined with coconut ice adds a rich flavor.